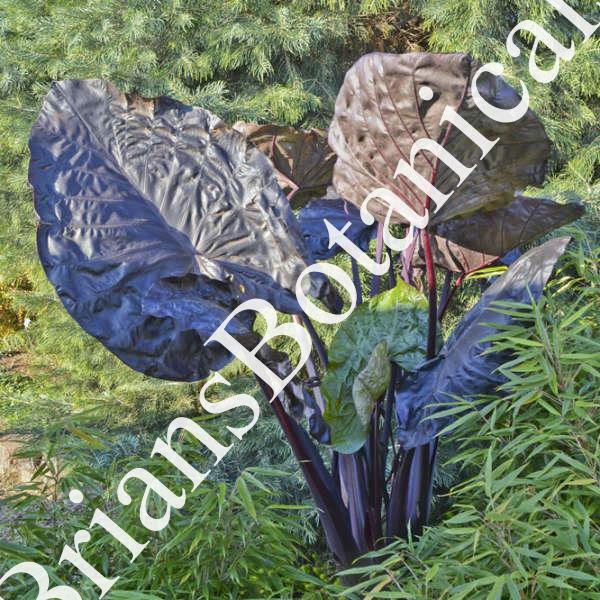 This tropical plant forms huge, dark glossy mahogany leaves. Compared to ‘Black Swan’, this variety is shorter and has a fuller habit. While growing this plant, you’ll appreciate its clumping nature, which translates to more vigorously filling out a pot and throwing up lots of new leaves. When growing these plants in our greenhouse, they colored up nicely even under UV inhibitor plastic. This was a pleasant surprise since often purple foliage plants require direct UV exposure to bring out the darker pigment.